TRAVELLING ALONE OR WITH A COMPANION? The reign of Thailand as one of the most interesting places in South Eastern Asia is certainly longstanding. With its luxuriant landscape, temperate climate and manageable humidity, it is a perfect destination for travel throughout the year. The people are tolerant and friendly and consider tourists a resource worth protecting. To the eyes of a tourist, this land is extremely intriguing as traditional appears to comfortably co-exist with modern; skyscrapers mingling with temples as visitors travel seamlessly from the hustle-bustle of town roads to unspoilt mountain paths. Thailand can be included as part of a broader motorcycle expedition, such as GIVI “Explore”, or it can be a destination in its own right for a trip lasting several weeks. After all, the size of the territory covered by Thailand is twice the size of Italy and it is nearly as large as France. Its total length is almost 1900Km, with the land mass being narrow in the South and broad in the North, resembling the head of an elephant. The territory is extremely diverse, shifting from the high mountains of the North to the tropical islands of the South and it is home to a number of different ecosystems. Located in the five main regions, Thailand has 102 National Parks and 122 reservoirs. THE CENTRAL LOWLANDS – a very fertile area, with 22 counties and the capital city of Bangkok. With ancient settlements and towns, dazzling markets and plantations. THE NORTH – mountain ranges, ethnic tribes, waterfalls, paths and sophisticated temples. THE NORTHEAST- a less economically developed region. Large highlands, friendly dwellers, ancient temples, interesting local food and architecture. THE EAST – characterised by short mountain chains punctuated by valleys and rivers. Pattaya is located in the east and all well-known islands can be easily reached from here. If you do not have a great deal of time available, renting a motorcycle locally might be the easiest solution. 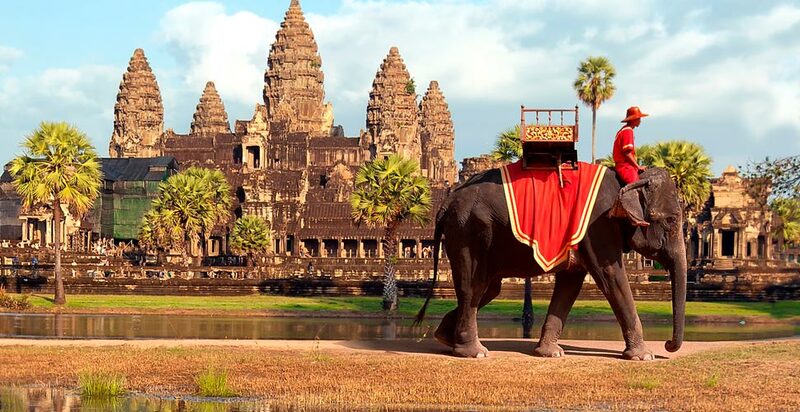 Take a flight to the ultimate eastern metropolis of Bangkok and from there head north to witness the Giant Buddhas of Sukhothai and the Giraffe Women, adorned with brass rings around their necks. Alternatively, choose one of the aforementioned regions, all of which are full of charm. If you are not looking for a wild adventure, a trip can be easily planned with the help of a local guide. Passport: To be granted access into Thailand, a passport must be valid for six months following the date of arrival into the Country. It must also have two free pages to accommodate Visa stamps. Tourists are legally required to carry a valid visa with them at all times (where appropriate). VISA: For tourist holidays that are less than 30 days duration, a Visa is not necessary. If travelling by air, a passport stamp obtained on arrival, validates the length of the stay. If entering the country while travelling by land, the Visa could be limited to 15 days. If travelling by road, it is important to check that your passport is being stamped by Border officials. In order to renew a Visa, it is no longer possible to leave the country and return a few days later. However, to be able to remain in Thailand for a longer period, a long term Visa can be purchased and this Visa was made available in 2015. It can be obtained from the relevant Embassy or Consulate. It is called a “Multiple Access Visa” and is valid for 6 months, allowing a visitor to remain in Thailand for up to 60 days. The cost is 5,000 Baht (approximately 125 Euros). There are no formalities to follow when bringing currencies into the country, providing the sums involved are not excessive. The International Driving Licence (according to the 1949 Geneva Convention) is both recognised and accepted locally. No foreign insurance policies are recognised. If entering Thailand with a private vehicle, it is necessary to obtain a temporary insurance policy at the Border, after a local travel agency has requested the permission of the Thai Vehicle Registration Authority. It is possible that the permit could take up to 30 days to be granted. Thailand drives on the left and overtake on the right and motorcycle riders are required to wear a helmet. If stopped by the police for an alcohol (breathalyser) test, the permitted level of alcohol is 0.05%. If opting to hire a motorcycle locally, it is important to be vigilant when it comes to selecting a local motorcycle rental company, as we are still receiving reports of untrustworthy companies operating fleets of motorcycles that are unchecked and therefore unsafe for the road. Regardless of whether a visitor is driving a private or rented vehicle, driving anywhere can be dangerous. In recent years, a large number of car crashes have been recorded and these have been mainly due to drivers’ inability to drive on the left and the general chaos that exists on the streets. When driving, never make assumptions. The third lane is not designed for overtaking: its use is at the discretion of other drivers / riders. It is important to always respect distances and speed limits. The roads are of average quality. The main roads are excellent asphalt roads with secondary roads in not such good condition. In remote areas, the roads are generally surfaced with gravel. It is strongly recommended to purchase a liability insurance policy, with adequate coverage. Currently, Thailand is relatively safe. Following the 2015 terrorist attacks, safety checks in the capital city and other sensitive locations, including tourist spots, have been increased by the local authorities. There is no restriction on movement throughout the country, but it is advisable to be more cautious in the southern provinces of Yala, Narathiwat and Pattani as well as Jana, Laos, Birmania and the eastern border with Cambodia. For added security when travelling alone, always provide precise travel information regarding routes and estimated daily arrival times to a third party. Avoid areas where protests and public gatherings are due to take place, as well as the city outskirts after sunset. While in Bangkok, be vigilant for pickpockets as the heavy traffic enables opportunist thieves to operate from motorcycles. Credit card cloning has also been reported in Thailand so it is important to be cautious when using credit cards for payment. Languages: Thai and English (in the capital and other touristic areas). Religion: Majority Therevada Buddhist (Christian and Muslim minorities). Currency: Baht (from November 2018) exchange rate: 38.89 to 1 Euro and 32.67 to $1US. All main credit cards are accepted. Power Grid: 220V. 50Hz.Some sockets are a combination of A and E sizes and can accommodate both plugs. Phone service: Thailand Country dialling code is +66. The country has 4 mobile telephone services, 3G and 4G internet roaming. Reception is good even outside urban areas. Hospital standards are good with those in private clinics being outstanding. Hospital care is chargeable and the cost of treatment in a clinic can be quite expensive. Prior to travelling, it is advisable to purchase insurance that will cover medical expenses and the potential repatriation of the policy holder, if necessary. Known Illnesses: In the first quarter of 2016, there were dozens of cases of the “Zika Virus” contagion. Zika is a viral illness caused by the Aedes Aegypti mosquito which is also responsible for the spread of “Dengue” and “Chikungunya”. On 19 June 2015, the first case of MERS was identified in Thailand. The Health authorities subsequently created a regimented heath protocol to monitor travellers flying into Thailand from areas at risk. AIDS has spread noticeably and there have been a number of outbreaks of tropical illnesses (e.g. Malaria and Japanese Encephalitis). Dengue Fever is still present, as it is in all areas of South Eastern Asia. Dengue Fever mostly affects the northern territory. In southern Thailand, there has been a significant increase in the number of cases of Chikungunya Fever. If you begin to develop unusual symptoms whilst in Thailand, do not hesitate in calling a doctor. It is essential to adopt all the precautions necessary to avoid insect bites during your stay. It is important to be cautious when consuming eggs and poultry meat and check that all meat is always thoroughly cooked. There are no compulsory jabs for travel to Thailand. From a motorcycling point of view, Thailand is an easy location for two-wheel travel. 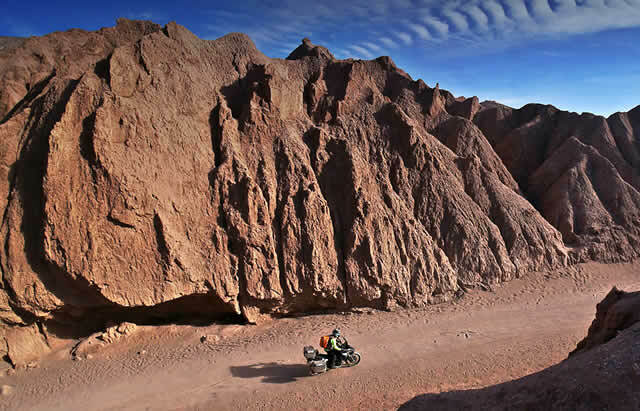 There are no deserts to navigate and routes generally run alongside villages. Riders can travel across Thailand using any kind of motorcycle or even a scooter. In the drier season, luggage can be light but during the monsoon period, it is essential to add a full rainproof suit to your supply of technical clothing. You may be tempted to take a jet helmet, but it is advisable to opt for a modular helmet which can convert to an open face helmet. There is no specific motorcycle touring tips in Thailand for those riders travelling to the border with their motorcycle or having their vehicle shipped to Thailand via sea or air. If opting to hire a motorcycle locally, you should consider taking a comfortable backpack or soft bag that can be mounted to the back of the motorcycle using either straps and/or elasticated belts. It is also advisable to carry a number of accessories that might become necessary, particularly if travelling alone ie a First Aid kit, puncture repair kit, USB cables, smartphone holder, lock with steel cable to secure the helmet and bags during short stops. You could possibly hire most of these items locally, but costs may be high, so it is often easier to bring your own from home. Be inspired by GIVI ideas for street motorbikes, maxi enduros, enduros and scooters. In Thailand, a litre of fuel costs 34.60 Baht (average price calculated between August and September 2017), approximately $1.09US. The fuel available is unleaded. All main routes are equipped with service stations but in remote / isolated areas, fuel is sold in small roadside kiosks. Thailand is subject to tropical monsoon weather, which consists of a specific rainy season. There are mainly two seasons: a moist summer season, (May to October) and a dry winter season (November to April). When planning a motorcycle trip, it is advisable to avoid travelling between July and October as this is the period typically characterised by heavy rains and flooding. The north and north eastern areas of the country are generally cooler than the capital and receive less rainfall than the rest of the country. The most intense rains fall in the south. It is advisable to travel to Thailand between November and February when the average temperature is around 25 degrees centrigrade. If travelling outside this period, it is advisable to regularly check the weather news and forecast on the local information channels eg www.tmd.go.th/en/ – link WARNINGS. Rental Company set up in Bangkok in 2009, offering motorcycle rental and guided tours. It has interesting rental fees, for example, for one week hire of a KAWA D-Tracker, the price is 8,100 Baht. They also hire helmets, clothing, GPS systems and… GIVI bags. Contacts: address: Rama 9, Soi 41, House 26 – Phone: +66 (0)8-3717-7444 – Hours: 10:00 am – 10:30 pm. With offices based in Bangkok and with nine different motorcycle models on offer, prices start from 45 euros per day for a Kawa Er6n to 90 euros for a BMW F800 GS. Rental Motorbike is a worldwide organisation that provides sophisticated motorcycle rental, using a format similar to that used by the major car rental companies and offering a similar level of safety insurance. They offer the added advantage of a multilingual service. Large parking area for motorcycles and scooters. Another rental company based in the capital city. Its motorcycle parking area includes Honda, Kawasaki, and Ducati from 500 right up to 1,000cc. Sample rental tariff: Versys 650 for one week, 13,200 Baht. Interesting route information can be found on their website, each of which has been tested by members of staff and then recommended to their clients. If you are interested in one of the company’s guided tours, BBRB Big Bike Rental has connections with a number of tour operators specialising in motorcycle guided tours. Tour operator based in Kanchanaburi specialising in organised tours to the western region of Thailand. The company takes care of everything: motorcycle rental (even for a small engine capacity scooter or motorcycle with a limit of 300cc), the support of experienced guides and the ability to create bespoke tours covering just one day or longer.